If you live in the Lake Oconee or Greensboro, Georgia area, then you really have something to smile about! 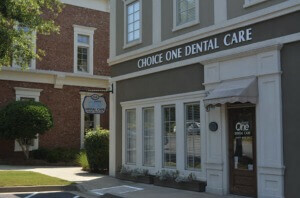 Greensboro dentist, Dr. Marson, and the team at Choice One Dental Care® of Lake Oconee, can help you achieve the healthy and beautiful smile you’ve always wanted. As a highly trained dentist, Dr. Marson have made it a priority to stay up to date with changing technologies and new procedures in their field. Dr. Marson uses the most advanced, up-to-date techniques in dentistry, including the finest technology at his dental practice located in Greensboro, GA. Learn about our financing options! We offer Access Dental Now™ which provides affordable high-quality dental care. Exceptional professional attention to personal service and treatment. Thank you!